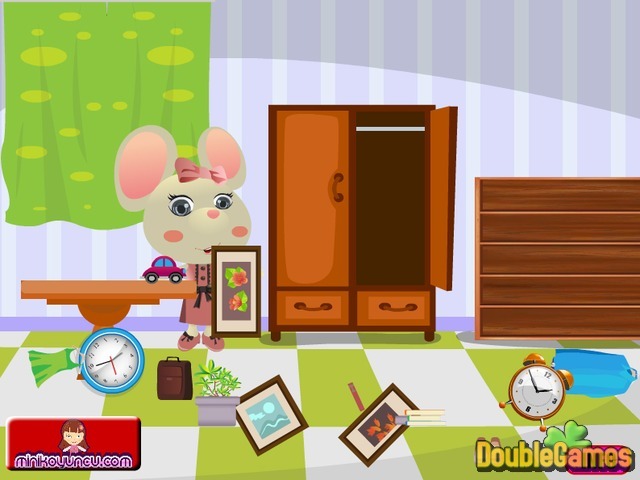 Help little mouse put everything in its place in new interactive online game titled Cute Mouse! Look at all this mess. Who did it? Turns out we don't have much time to figure that out, we have to clear the room as fast as possible. Put the dresses and shoes and pictures where they belong. Don't forget about the toys. Your parents are coming home soon, don't make them get disappointed. Have fun with Cute Mouse, start playing it right now and totally for free. Title - Cute Mouse Online Game Description - Become acquainted with Cute Mouse, a Hidden Object game projected by Minikoyuncu. Help little mouse put everything in its place in new challenging game.